Plumbing Care Services are Gas Safe registered heating engineers who supply and install gas boilers. For similar replacement boiler companies in this area please visit the Bristol boiler page. We are an established company who specialise in energy efficient boiler replacements & heating solutions. As an approved installer of Worcester-Bosch and Vaillant boilers we are able to offer customer, zs up to ten years warranty on new boilers; backed by the boiler manufacturer. We also undertake quick and efficient gas heating & combi boiler repairs & servicing, along with full certification and testing services for landlords and new home buyers. We have excellent references available at your request and peace of mind comes as standard with all work being guaranteed and covered by our £2 million public liability insurance. From the first quote to the completion of the boiler installation the service was top class. Very pleased with the whole job. Paul even made time to service my dads boiler during the same week. 5 star. Thank you Rob. We look forward to seeing you next year for the boiler's next service. Truly professional, written quote with terms of business and everything down in black and white sent very promptly and quote was same or lower than others. Used email as well as phone making communication easier. Installation done quickly with good workmanship. A genuine interest in boilers and good knowledge of the technologies and pride in work. Friendly and courteous during install. I recommend them to anyone looking for a new boiler. Plumbing Care Services were nothing short of a miracle. They came round the same day and gave me a very reasonable quote. 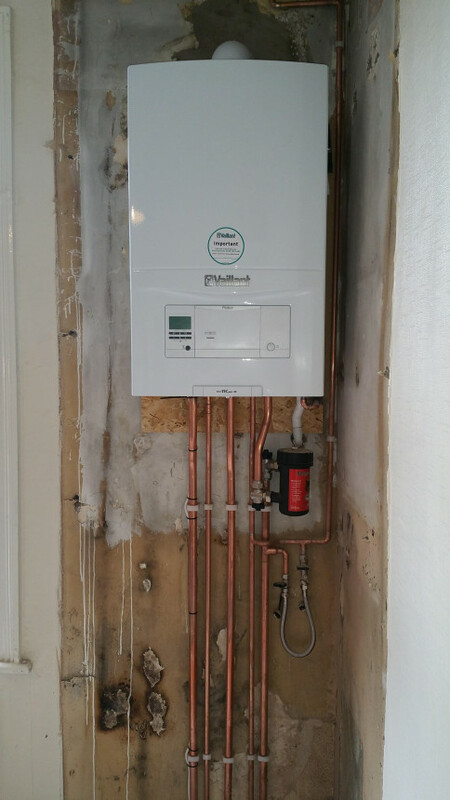 On the day of installation they arrived with a good sized team which meant that although they had the job of replacing an old, two-tank boiler with a combi, I was only without water and heating for a matter of hours and not overnight. Their representatives were professional, helpful and really trustworthy. I shall be using this company going forward should I ever need further maintenance. Paul worked hard on this, found a few extra problems with my system which he offered to fix within the same quoted price. Stayed late to fix it. Very conscientious, honest and trustworthy. I would recommend him to anyone.